Instagram was rolling out a new feature by updating its algorithm to curate the best live video stories on its platform. Previously, the Instagram platform used to generate the live video stories that are going right at a particular time. But the curated algorithm allows the live video stories algorithmically. Another new feature is direct video message which works similar to the Snapchat platform that means the video will get disappeared after watching the content twice. How to build the Instagram story? 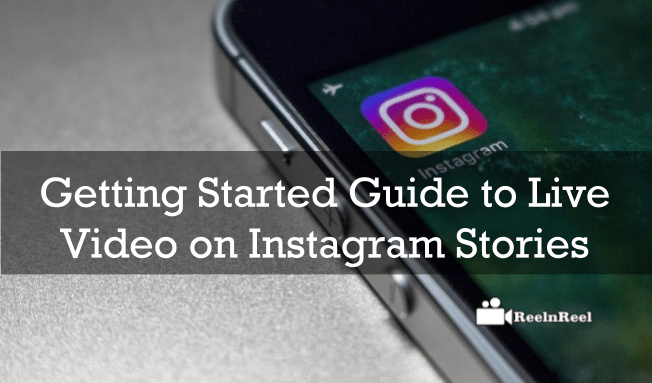 How to go live video streaming on Instagram to start Live video stories? Stories are one of the best features on Instagram which allows the users to share some posts at high frequency. The images on Instagram were picture perfect, but the stories allow a different type of images that may not be as perfect. The platform has made the stories as the best solution for the over posting on its platform. So, it is good to users as they no need to worry about crowding of their newsfeed with continuous posts. • Tap on to the plus symbol that appears on the upper left corner to get started. • Take your snap by just tapping on the round button. If you want to capture the video, then you can press down and can capture the video up to ten seconds. You can also turn on the flash by clicking the icon that looks like a thunderbolt. • Select among the three pen type options to make a photo doodle, and you can also add an emoji using your keyboard. • The users can also use the simple colours by swiping the right side for the colour filter. You can also use different colours by holding one of the colours to pull on the screen. • After doing all these steps, just tap on the checkmark icon to share your story. • Your story will appear at the top of your friends feeds and it is also can see on your profile picture. • After it went live, you can save your work by tapping on the three dots that are available at the bottom right corner which saves your photo. • Users can also check out who has viewed your story by just swiping up to view the video or photo. The new feature is available on both Android as well as iOS platform users. The new live video functionality provides the users with an ability to send as well as receive the photos and videos both in groups as well as like direct video messages. The new feature resembles the features of Periscope and Snapchat applications. The Live video helps the users to get connected with the followers. The live story automatically disappears from the Instagram. You can start the broadcasting of your live video, just swipe on to the camera button and tap on to the start live video option. A special notification will be sent to your followers when you are live streaming. The users can also track the number of viewers watching their live video story in the top right corner. The comments can be seen at the bottom of the screen. During the Live session, you can just tap and hold the comment to pin the live video story so that everyone can see or you can also off the comments by selecting the turn off comments. The keyword filters can be set up before live streaming to avoid the abusive language. You can like the others live videos on their profile photo in the stories tab. The new tab on Instagram had refreshed with a new “top Live” section. Therefore, Instagram made its next step in the live video streaming with new features which had raised excitement in the marketers as well as the users.